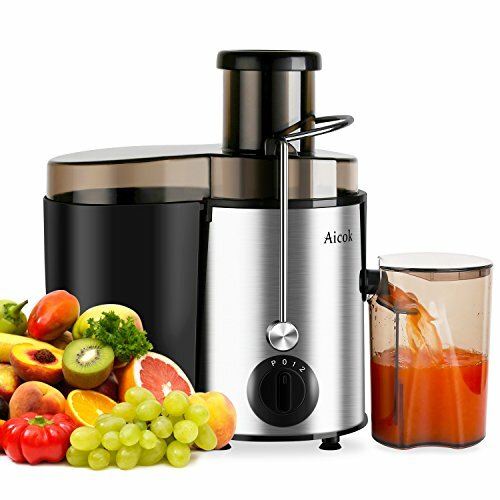 ✔Healthy Delicious Juicer: Get more nutritious and fresh squeezed fruit or vegetable juice by using this high efficient juicer to extract up to 20% more juice and 30% more vitamins and minerals than other juicers. Making juice for your family that doesn't have all the added sugars and dyes in it, get the juicer enjoy your delicious and healthy life. ✔Safety Locking Arm: Prevent the juicer from operating without the cover locked into place. The circle turntable with sharp blade won't fly out, so that prevent injuries. 2 years limited quality warranty.